Ventil z nerezové oceli Ø 32 mm 1ks. Stainless Steel Valve Ø 32 mm each. These are the best forged one piece stainless steel valves money can buy. Precision machined featuring a swirl polish on the head. 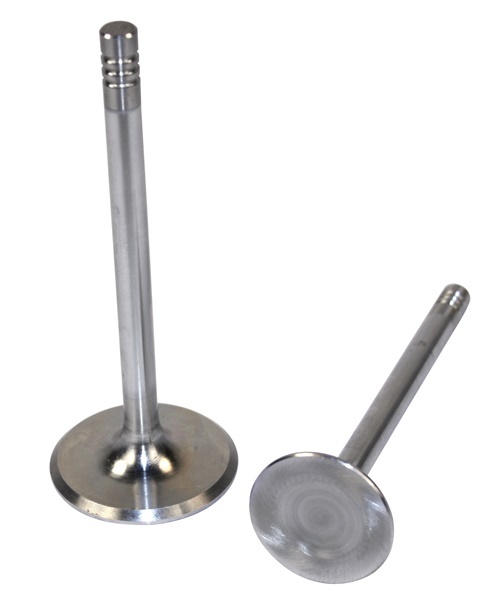 Plus these valves have the exclusive alloy hard tip to prevent mushrooming of the valve stem. These are the valves used exclusively in our competition head program. Money back GUARANTEED! We also have a quantity program-inquire.